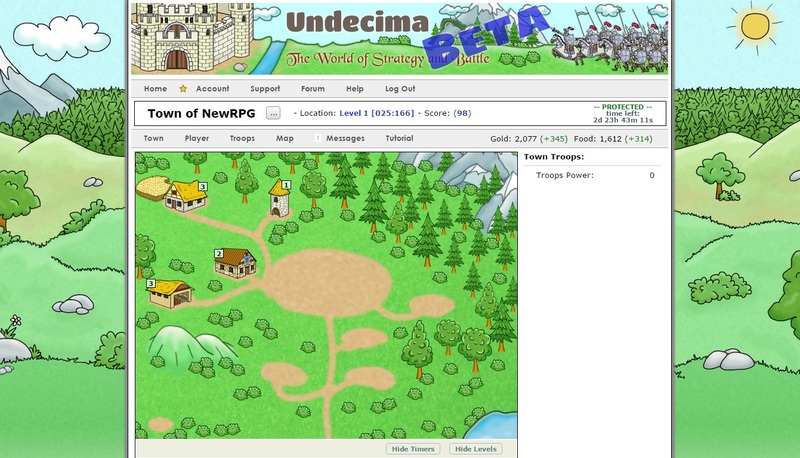 Undecima is an online browser multiplayer strategy game. Go to village hall and start building facilities. As a reward you’ll receive some gold and food. Keep an eye on your profile to see information about your score, rank, level, rewards etc. Go to map to see your location and surroundings. Ongoing tasks section gives you a clue about missions that you should complete. You can also build your own farm, keep, town hall, watchtower, walls etc. Expand your village, upgrade your facilities and keep your village safe. A new quest is coming to Undecima – Most Wanted, where players will have limited time to find, capture, and deliver Villains, who will be hiding in different locations. There will be nice rewards and as quest will vary in difficulty, the harder it is, the large the bounty will be. But wait, there is more! Players and everybody else can take part in developing this quest and suggest names and descriptions for the Villains that have to be captured – the best and funniest will make it in the Game 🙂 You can check it out in this thread on Undecima Forum: https://forum.undecima.com/FRM-ShowThread.aspx?thrid=2522 and if you feel creative, you can suggest your names in this thread. Winning the Game round does not affect other players, there are no global restarts or resets in Undecima. This game is just a copy of Travian. 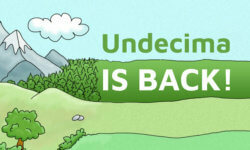 It’s been a bit over a month since Undecima was relaunched, but there are already new updates and improvements. The Mayor now has even more useful features to boost your food and gold upkeep and extend the maximum capacity of your storage. There are some improvements for interface, daily quests, and a new update that will allow pure PvE experience is coming soon. Just been reset and has great potential. You should really check this game out! Game has been reset and updated with a lot of new features. Definitely worth giving it a try! The Call of Ragnarok is a new feature in Undecima that will allow all (or almost all) active players to take part in the Endgame. It’s risky and there is no way back, but if you don’t want to miss on the Grand Finale, you can take this opportunity, accept the Call and maybe even win the Game. Read more about it in this thread: http://forum.undecima.com/FRM-ShowThread.aspx?thrid=367. Another new feature is Voting for Undecima. It has been integrated into the Game and now if you enjoy playing Undecima, you can vote for it right from the Game and you will be rewarded some Coins of the Chronos for your effort as well. Read more about this feature in this thread: http://forum.undecima.com/FRM-ShowThread.aspx?thrid=370. A new Undecima Video Tutorial (https://www.youtube.com/watch?v=22oxFOBLrEo) is now available on YouTube. This video covers all new and old concepts of the Game and walks you through the whole Tutorial with explanations and commentaries from the very beginning to the point where you research a Town Class. There are Time Markers in the description of this video for each step now. So, if you get stuck on a particular step, you don’t have watch the whole video (even though it’s a nice video), but just directly jump to the place where you got stuck. A new World of Undecima has just started and it can be your chance to capture the Crown of Ultimate Power and prove that you are a True Ruler of Undecima. With the steel of Might, the power of Magic, the spirit of Nature, or the light of Faith, face your enemies with courage and honour and bring Undecima to its proper glory. If you tried Undecima some time ago, you will find many new features in the game. You can explore the Ruins of Decima now, your Mayor has many new upgrades to improve the efficiency of your Town, you can hire help to produce more Gold and Food, and even you, yourself can Roll up your Sleeves and help your workers around the Town. There is also a new Tutorial with Step-by-Step Instructions covering all new and old main concepts of the Game. Give it a try and if you liked it before, you will like it even more now. Beautiful and well balanced game, a lot of thought and care went into creating Undecima. If you are looking for something different, something that is new player friendly, then Undecima is for you. If you are tired of getting farmed into the ground. Feeling like all your hard work is wasted to players either in big clans, or who have months of building time ahead of you? Then you should give Undecima a try. ^ This. you should definitely check out this game. Game is updates constantly with new content and the admin listens to what the players want. Give it a try you will like it!